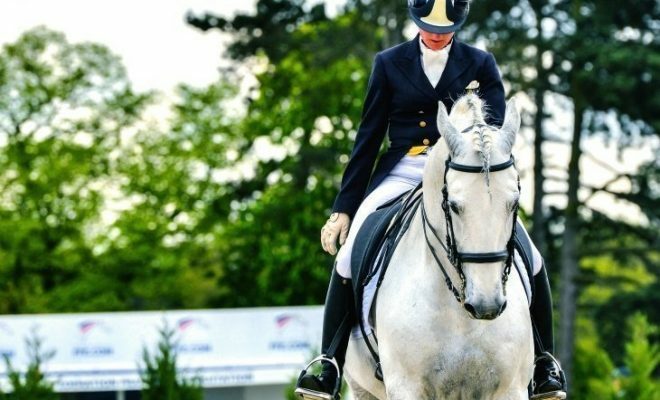 Getting your warm-up right is a key element in producing your best performance in the dressage arena. If you don’t allow long enough, your horse may be too sharp and tense, if you overdo it, he might run out of steam halfway through the test. So how do you work out how long you need to spend warming up? Here are some tips and advice to help you get your warm-up timed to perfection! Unfortunately, there’s no warm-up template to fit every horse. How long it takes to get your horse primed and ready to produce his best in the arena is largely dependent on his temperament and experience. 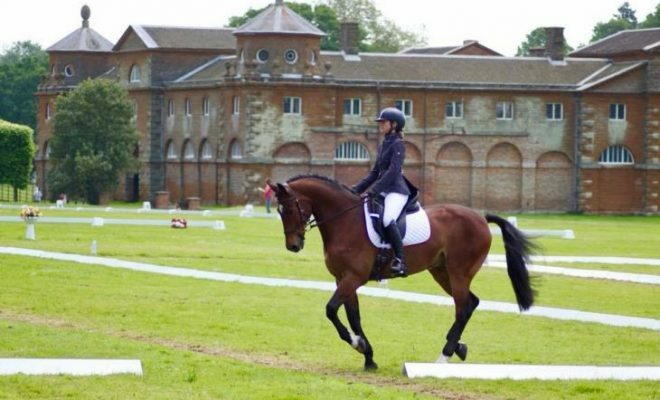 If your horse is young and unaccustomed to working away from home or in a competition environment, you might need to spend longer warming up than you would do if your ride was a seasoned campaigner with many shows under his belt. Clearly, an inexperienced or naturally spooky horse is likely to be distracted by the unfamiliar sights and sounds of an event venue. If this sounds like your horse, it could be worth leaving early, so that you arrive in plenty of time to allow your horse to have a look around the event venue and soak up some of the atmosphere before you begin warming up. 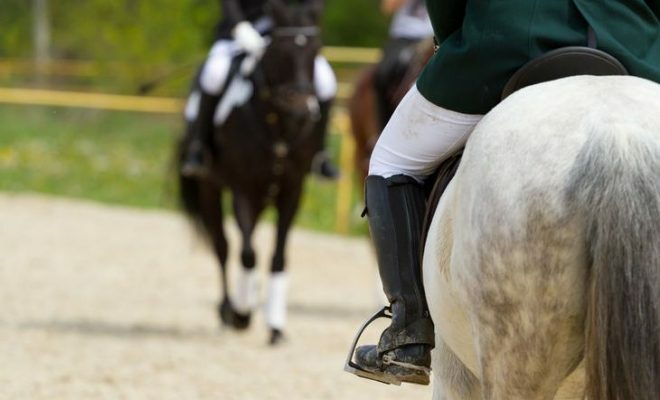 If you’re really concerned that your horse might ‘boil over’ on the day of the competition, you could try arriving the day before and stabling overnight. This would enable you to school your horse in the strange arena the day before your class and removes the stress of traveling on the day too. If an overnighter is not possible, you could consider hiring the arena the week before the competition. 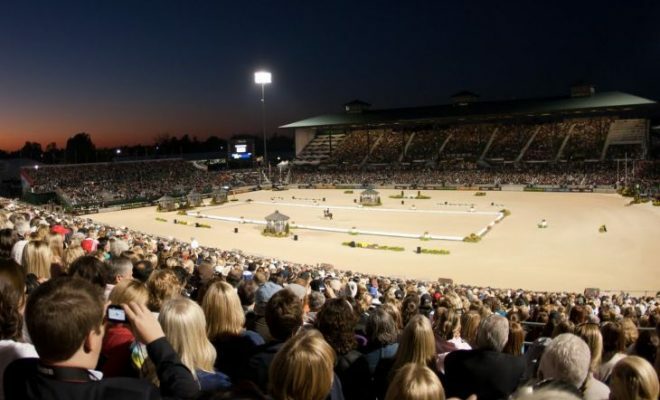 Why not get together to hire the venue with some friends, so that your horse can work in the strange arena with companions he knows? On the day of the competition, he won’t be nearly as curious and distracted, as the surroundings will be familiar to him. Time your usual warm-up routine at home. 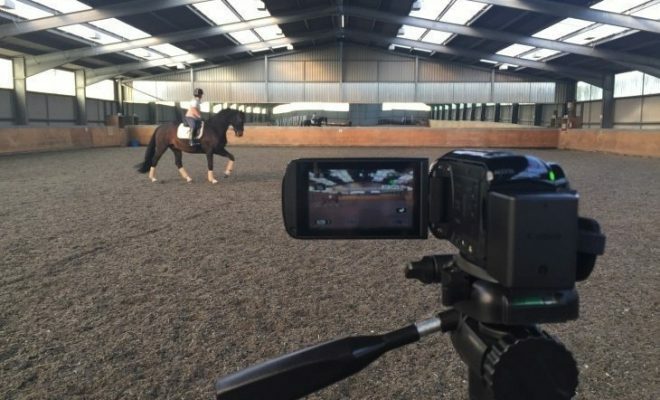 If you don’t know how long it usually takes to get your horse ‘in the zone’ and ready to produce his best work, how will you know what time you need to allow to warm-up at an event? Before you even tack your horse up, check that your class is running on time. There’s nothing more frustrating than having your horse all ready for his test, only to discover that the judge is running 20 minutes late and your perfectly-timed warm-up is consequently ruined. As a general rule of thumb, it’s advisable to add at least an extra 15 minutes onto your usual working in time. Horses are creatures of habit, so always use the same warm-up routine that you use at home. This should help to settle your horse as he’ll feel comfortable and secure within the familiarity of his usual workout. Use the additional time to let your horse have a good look around, relax, and stretch-out muscles that may have become cramped or stiff from traveling. If you think your horse might become very overexcited in the warm-up area, it’s a good idea to ask the organizer if there’s an area set aside for lungeing. 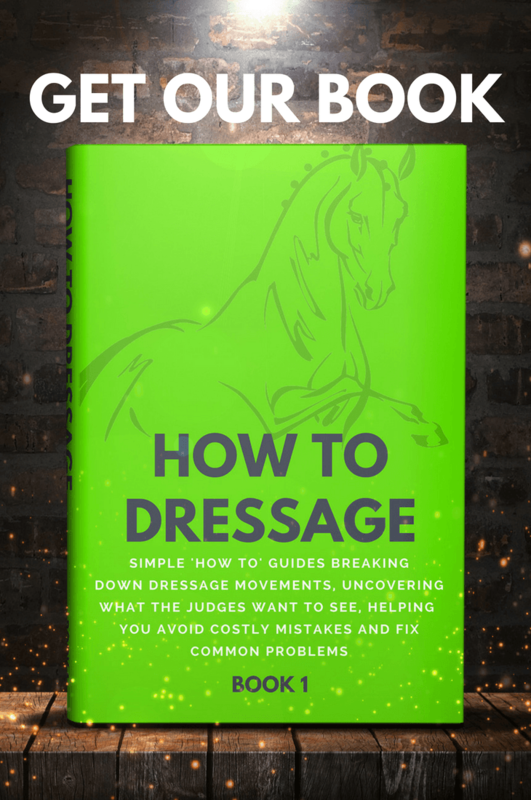 Twenty minutes on the lunge could help to burn off any excess energy; after all, you don’t want to end up on the floor, and you certainly won’t be popular if your cavorting equine upsets other people’s horses! 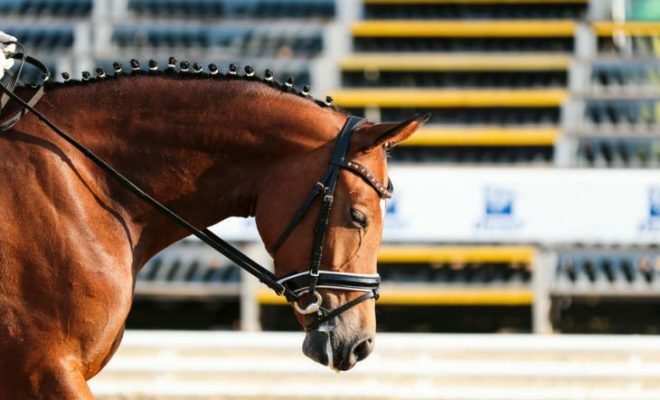 If there’s nowhere to lunge at the venue, lunge your horse at home before you set off. If your warm-up is going well and you think you might have allowed too much time, put in a few long rein breaks in between schooling. Whatever you do, don’t just sit there watching the world go by as your horse falls asleep! You need to keep his attention and keep him moving. Five minutes before you’re due to enter the arena, pick up the reins again and ride a few transitions to get your horse tuned-in and ready for his test. The duration and form of your warm-up depends entirely on the temperament and experience of your horse, and only you know that! It’s really just a matter of trial and error, but you can use the advice given above to help formulate a plan that works for you and your horse.